This course will review the key concepts behind measures of association. Through high-yield lectures, supported by interactive quizzes, topic reviews and mnemonics, you will explore a wide variety of coefficients that measure statistical strength. Gain the required depth of knowledge necessary to achieve your test goals or increase your professional knowledge base. You will have direct access to self-paced lectures led by Dr. Raywat Deonandan, Assistant Professor of Health Sciences at the University of Ottawa. Dr. Deonandan's goal is to make learning efficient and effective. Make your learning process easy, start reviewing with an expert today. The terms sensitivity, specificity, positive and negative predictive values constitute the statistical quality criteria of diagnostic testing. You should not only know their meaning and interpretation while preparing for your written exams as, if you want to make (responsible) treatment decisions as a doctor, there is no way around these parameters. Incidence rate and pretest probability are further parameters that you need to be familiar with. 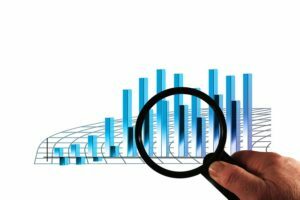 This article will provide you with an overview of various statistical quality criteria and their interpretation. This article discusses the concept of ‘association’ in biostatistics. Measures of association assume categorical or continuous level of data. The article also discusses in detail three kinds of risks and odd ratio. Attributable risk is also known as excess risk which is calculated when individuals or subjects in a research are assembled on exposure status. Population attributable risk is also discussed which indicates reduction in an incidence which may be observed in case the whole population were completely unexposed. Dr. Raywat Deonandan is an Assistant Professor of Health Sciences at the University of Ottawa, an epidemiologist, a global health researcher, and best-selling novelist. His research interests include the epidemiological trends in global burdens of disease, the social and moral dimensions of risk perception, and other global health related topics. Furthermore, Dr. Deonandan is an award-winning journalist with features in the Toronto Star, the Huffington Post and other publications. Presently, he sits on the Board of Directors of the Canadian Society of Epidemiology and Biostatistics, and is the founder and Executive Editor of the Interdisciplinary Journal of Health Sciences. Dr. Deonandan is keenly interested in spreading knowledge about epidemiology globally, be it through social media or via innovative teaching methods.